Community involvement is an integral part of Keystone Environmental. Over the years, we have been committed to the communities in which we live, work and play and we continue to support a variety of worthwhile organizations that help these communities to thrive. We recognize the needs in every community from coast to coast are great, and we wish that the company could support them all, however we have focused our giving strategy to include the overall Health and Wellness of these communities to ensure we have the greatest impact. Keystone Environmental believes in not only supporting these initiatives during major fundraising events at Christmas, Easter and Thanksgiving, but throughout the year by incorporating fundraising into our own fun corporate events. Keystone Environmental has supported the important work of the Union Gospel Mission for many years, incorporating fundraising into our own fun events – like the senior staff and executive dunk tank held during our summer BBQ – we raised $1,000 for the Union Gospel Mission at this one event alone. Whether it’s a nourishing meal to fuel the body or an empowering class that helps someone reach their educational goals, Union Gospel Mission’s comprehensive range of trans-formative programs and services meets the needs of the whole person. Together, we can build bright futures for men, women, and children in our communities. Cassie + Friends is the only charity in Canada dedicated 100% to the pediatric rheumatic disease community. Since 2007, they’ve raised over $1.5 million dollars to transform the lives of kids and families affected by Juvenile Arthritis and other rheumatic diseases. Working with patients, caregivers, healthcare professionals, researchers and other friends, we provide life-changing support, education, community and research to help kids and families face the ups and downs of life with a chronic condition. 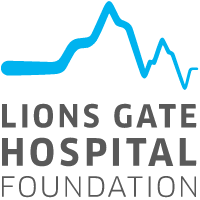 As the fundraising arm of Lions Gate Hospital, their role is to bridge the gap between what the government can provide and what the community needs. Their goal is to enhance patient care. Which they do by funding much-needed medical equipment, facility upgrades, staff education and research through donations from the community. Each year the Lions Gate Hospital Foundation holds its Nip/Tuck Classic Lawn Bowling Tournament hosted by the Young Professionals Committee of the Lions Gate Hospital. Keystone Environmental is the “Closest to the Pin” Sponsor for this important fundraising event.